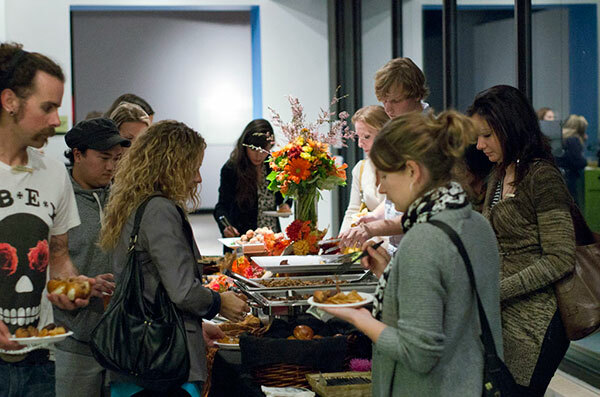 As with previous Interesting Vancouver, each ticket includes a variety of delicious appetizers served at the intermission break and after the speaker presentations. But this year we’re also hosting a very special pre-event dinner where 25 lucky attendees get to sit down with the speakers and organizers for a meal prepared by our partner The Butler Did It. During this meal we’ll discuss how we can all serve as catalysts for “interestingness” throughout the evening. Below is a list of our planned menu to whet your appetite! Cheesecake Lollipops with a variety of toppings. Tickets are expected to go fast, so get yours by clicking the Eventbrite button to the right! Dinner starts at 5pm, so come hungry!